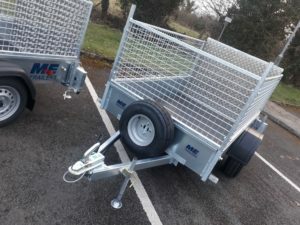 They are designed and manufactured in England by Meredith and Eyre, M and E trailers for short, in Hyde just to the West of Manchester, these trailers really are the cream of Manchester… I would recommend you take a look at the build quality and specification before making your final decision which trailer / manufacturer to go for. The bed is made from 18mm thick phenolic ply which is fully 6’6″ long x 4′ wide, to give a long lasting and serviceable deck to the trailer. 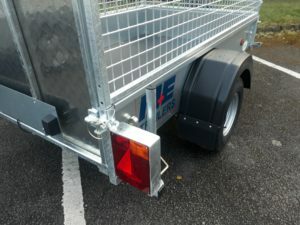 The draw bar is an “A” frame secured to the axle. This gives a robust construction which gives rigidity to the trailer and helps to prevent twisting in use as can be had with those using only a single box section draw bar. 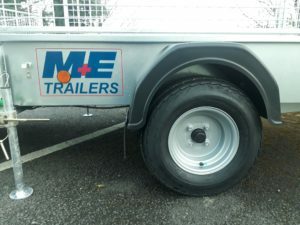 The trailer is fitted with a spare wheel and tyre as standard, handy in an emergency.. 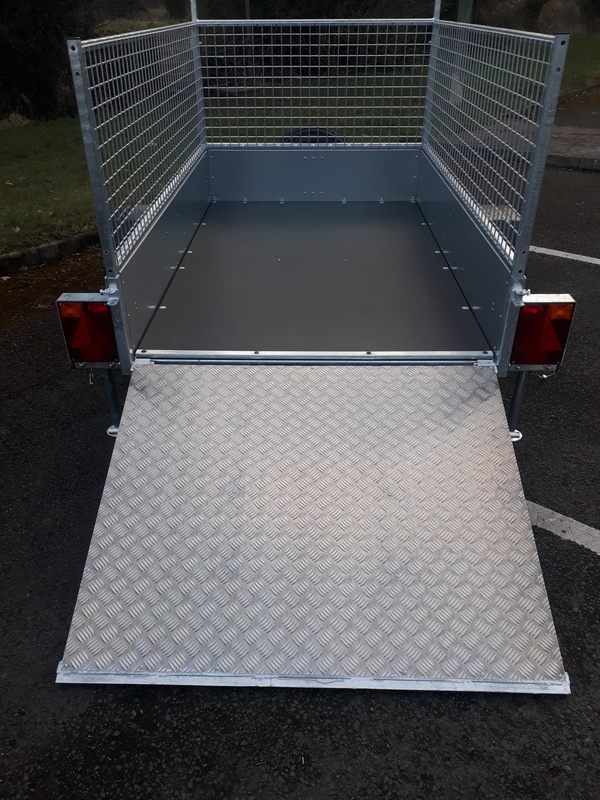 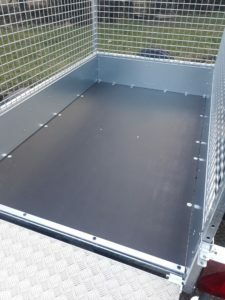 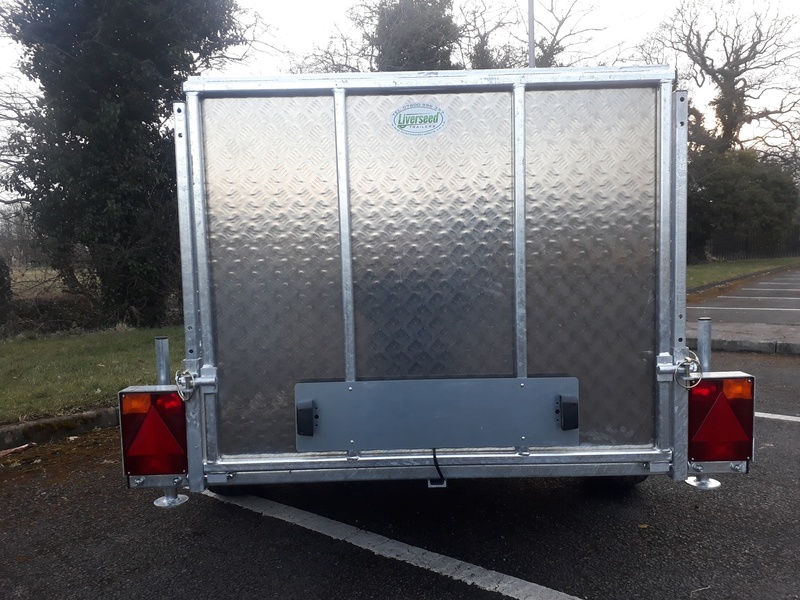 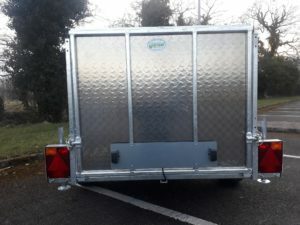 The compete body of the trailer is “hot dip galvanised” so your investment will be protected from the elements and keep its finish for years to come. 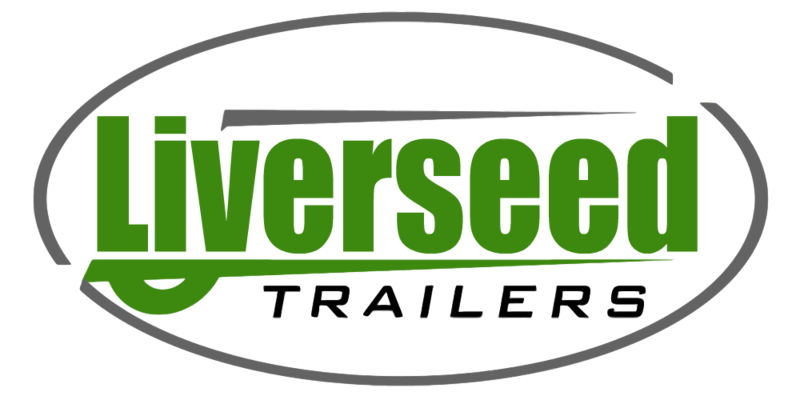 Payment can be made by cash, debit / credit card, or by bank transfer. 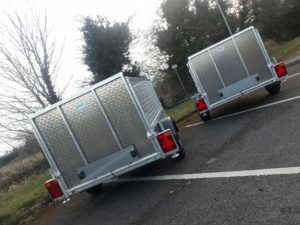 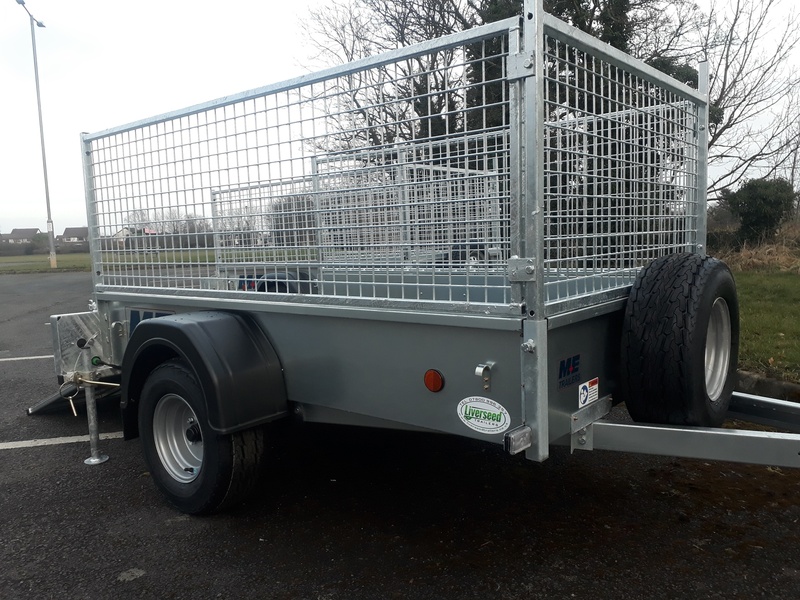 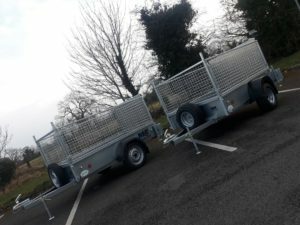 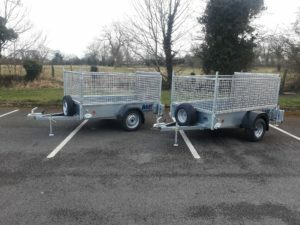 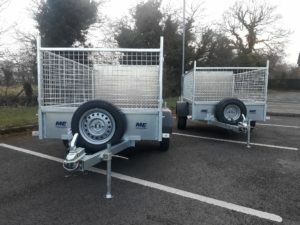 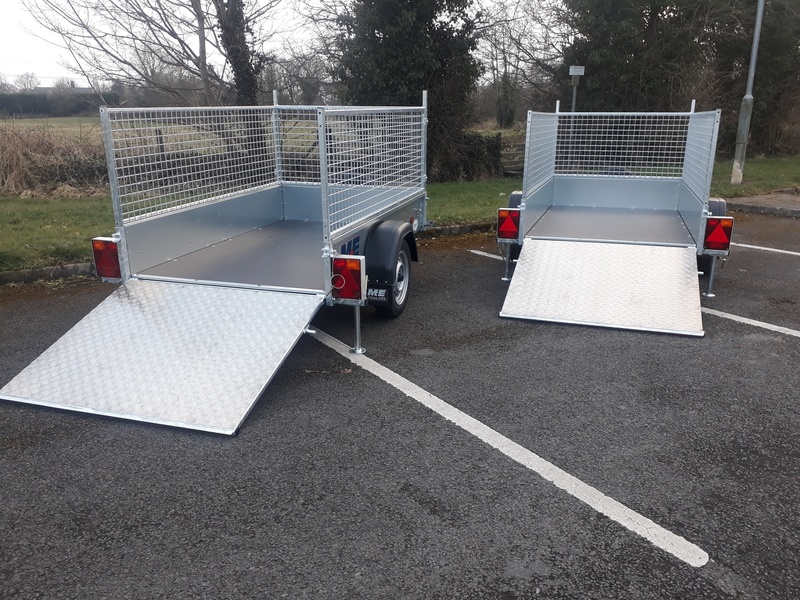 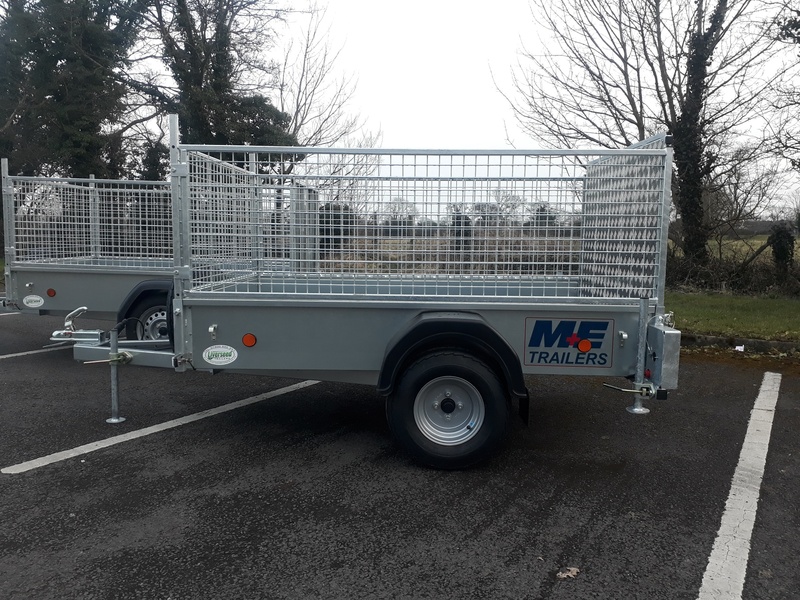 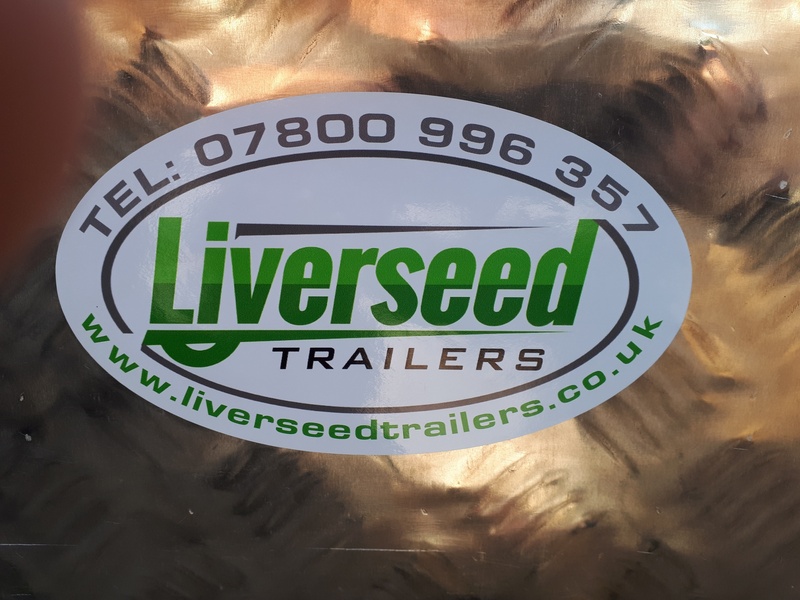 If you require any other information on either this model or any other trailer in their range please contact us… we only deal in trailers… we take other trailers in part exchange. 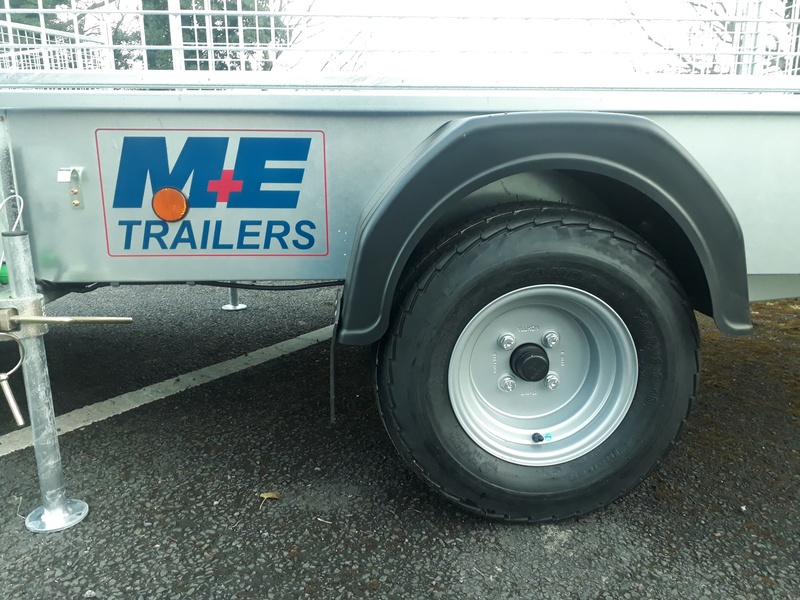 Should this trailer not meet your needs then please give us a call so that we can tailor a trailer to your needs, we can supply, tipper, flat, goods, tilt-bed trailers to name a few…. 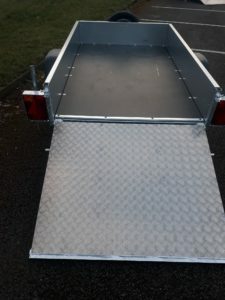 Please remember to save me as a seller on ebay. 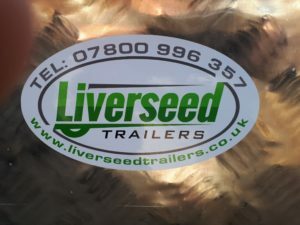 Join our mailing list to receive the latest news and current stock list.